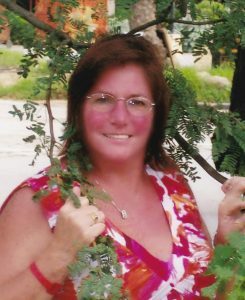 Patricia Ann “Tricia” (Callahan) MacLachlan, of Lawrence and formerly of Woburn, died Monday, November 19th at her home surrounded by her family, after a courageous battle with breast cancer. She was the beloved wife of 16 years to James P. MacLachlan. Beloved mother of Nicole Callahan of Manchester, NH and Patrick MacLachlan of Lawrence. Cherished sister of Ellen Doucette, her husband Roy of Westford; brothers, Tom Callahan and late wife Laurie of Woburn, Richard Callahan of Woburn, Jimmy Callahan, his wife Mary of Billerica and the late Danny Callahan. She is also survived by many neices, nephews, cousins and friends. A Funeral will be held from the Lynch-Cantillon Funeral Home, 263 Main Street, Woburn on MONDAY, November 26th at 10:30 a.m. followed by a Funeral Mass in St. Charles Church, 280 Main Street, Woburn at 11:30. Interment in Woodbrook Cemetery, Woburn. Relatives and friends are respectfully invited to call at the Funeral Home, SUNDAY, November 25th from 2-6 p.m. In lieu of flowers, donations may be made in Tricia’s name to the Woburn Tanner Ta-Tas 100 Tower Office Park Unit F, Woburn, MA 01801or the Sophia Gordon Cancer Center c/o Lahey Hospital 41 Mall Road, Burlington, MA 01805.For directions or to leave an online condolence, please visit www.lynch-cantillon.com or Facebook under Lynch-Cantillon Funeral Home. Patricia Ann “Tricia” (Callahan) MacLachlan, of Lawrence and formerly of Woburn, died Monday, November 19th at her home surrounded by her family, after a courageous battle with breast cancer. She was the beloved wife of 16 years to James P. MacLachlan. For many years Tricia worked for as a medical assistant in the Otolaryngology Department at Lahey Clinic. Tricia’s greatest joy was her family. Taking Sunday rides to the beach or to view the beautiful fall foliage with her husband was the highlight of her week. She also enjoyed spending time at the beach, boating, ice skating and watching a tear-jerker movie on the Hallmark Channel. Tricia was always surrounded by family friends and loved enjoying a meal out with them or in the comfort of her home, with her animals. One of her most favorite times of the year was Christmas, where she would host a Yankee Swap Christmas Party for all of her coworkers at her home. Everyone enjoyed and remarked on how beautifully decorated her home was! husband Roy of Westford; brothers, Tom Callahan and late wife Laurie of Woburn, Richard Callahan of Woburn, Jimmy Callahan, his wife Mary of Billerica and the late Danny Callahan. She is also survived by many neices, nephews, cousins and friends. A Funeral will be held from the Lynch-Cantillon Funeral Home, 263 Main Street, Woburn on MONDAY, November 26th at 10:30 a.m. followed by a Funeral Mass in St. Charles Church, 280 Main Street, Woburn at 11:30. Interment in Woodbrook Cemetery, Woburn. Relatives and friends are respectfully invited to call at the Funeral Home, SUNDAY, November 25th from 2-6 p.m. In lieu of flowers, donations may be made in Tricia’s name to the Woburn Tanner Ta-Tas 100 Tower Office Park Unit F, Woburn, MA 01801or the Sophia Gordon Cancer Center c/o Lahey Hospital 41 Mall Road, Burlington, MA 01805.For directions or to leave an online condolence, please visit www.lynch-cantillon.com or Facebook under Lynch-Cantillon Funeral Home. My deepest condolences to you all . Our sympathy to the Callahan and MacLachlan families on the loss of Tricia. She was a lovely woman and I always enjoyed chatting with her at the Callahan events. She will be dearly missed. Ellen,Nicole and Family I am so very sorry for loss of Tricia🙏My Thoughts and prayers are with you at this very difficult time. You will be missed. You always supported me, and were there for me. Thank you for making me laugh, encouraging me to come out of my shell as a teenager and being the conduit for connecting the family. You will always be in my heart. You fought this will all your strength and set an example of how to face adversity with grace and dignity. You will always be a part of me. Thoughts and prayers are with you all at your time of your loss. Many condolences to Tricia’s family. I truly enjoyed working with her at the Lahey Clinic as an ENT resident, she was always very kind and helpful to us all and clearly very knowledgeable, and wish I had been able to spend more time with her. She will be missed. Tricia rest in peace my friend to the family my thoughts and prayers are with you at this time.